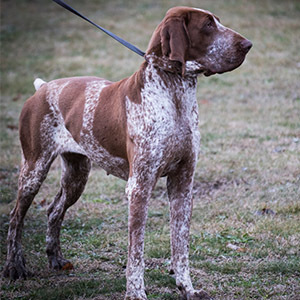 One of the oldest pointing breeds in existence today. 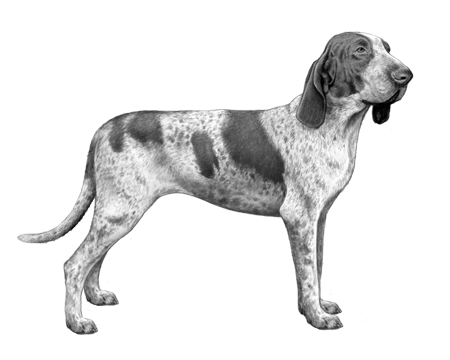 The Bracco Italiano, or “Italian Pointer” looks like a cross between a German Shorthaired Pointer & Bloodhound, though not like either one specifically. Documentation on this breed dating back to the 4th or 5th century BC, detail a cross between the Segugio Italiano (Coursing Hound) and the Asiatic Mastiff. 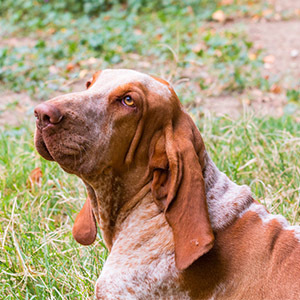 Either way, the breed was well established by the Middle Ages and during the Renaissance the Bracco thrived with prolific breeding by the Medici and Gonzaga families. One of the oldest of the pointing breeds. 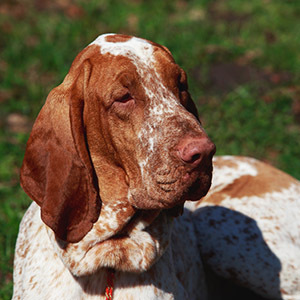 It was introduced into the United States in the 1990s and has remained true to its heritage as a versatile gun dog. It is gentle in the home and tireless in the field. Lean limbs and well-developed muscles. 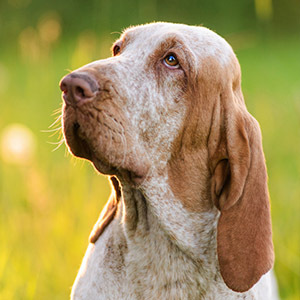 Their lovable faces feature long ears that should reach the tip of their nose without being stretched and equally floppy lips that reach down to the lower jaw. They have a beautiful short, and glossy coat that should be white with patches of orange varied sizes or orange roan (speckling). These big dogs love people and thrive on human companionship. 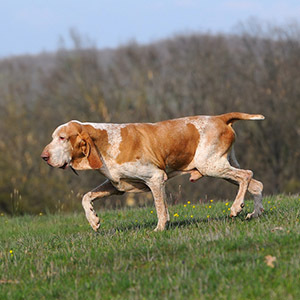 As a hunting breed they tend to have plenty of energy and require lots of activity and good strong obedience training.